Sheppard Press, c1984, 224 pages. VERY GOOD Condition Hardcover with a VERY GOOD Condition Dust Jacket protected with a Mylar Cover. This book is ex-library with usual markings, fep removed & light wear. Pages & Binding are NICE & TIGHT! 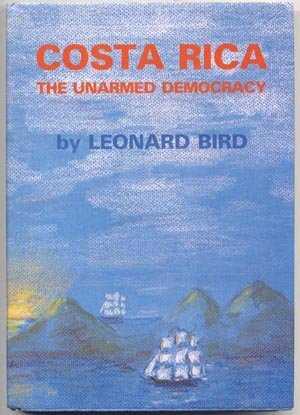 Central America is an area full of strife and warfare, this book examines how one small democracy in the midst of these problems has maintained it's peaceful ways without an armed force. A great reference book on South American studies. A VERY RARE BOOK!! If you are looking for another book, just email me Thanks! Happy Bidding! Good Luck!